Hey there TBW readers, miss me? I missed you too. 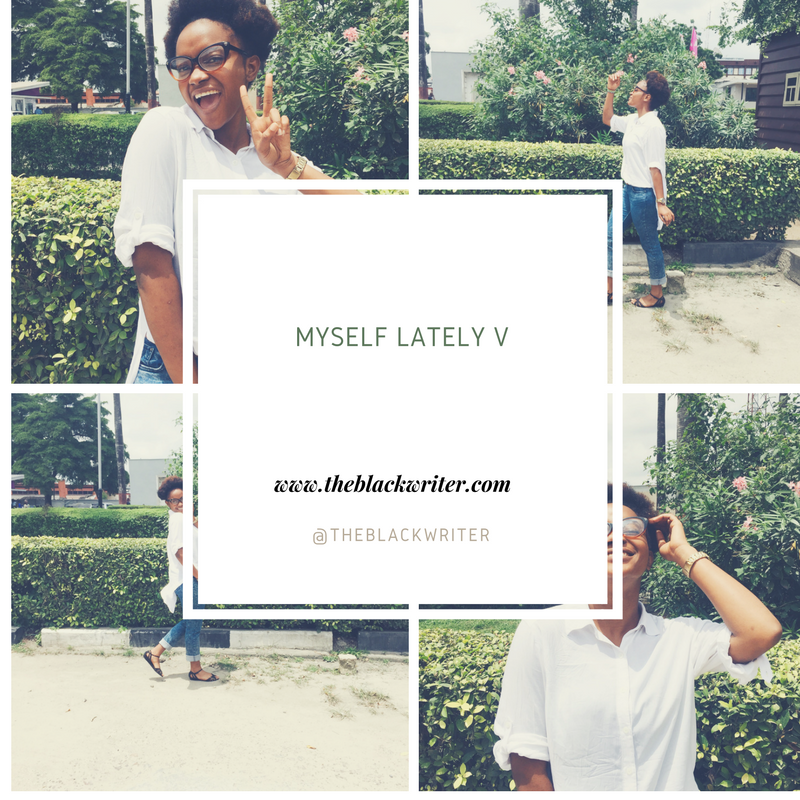 I’m sorry for leaving you for so long, it was just a much-needed break and my blog needed some upgrading. So I’m back with a taking stock post just so you know what I’ve been up to. Attending Events. This year was supposed to be my year of turn ups, you know, hang out all the time and blah blah but life happens. I’ve been buried in my books, school activities and there’s just been a lot of expenses. Anyways I started attending blogger events like the NFB Yard sale and the CAG Bloggers Forum of which I had a good time. I plan to attend more and I’ll be done with school in October so no more school baggage. Finding my Style. Ever since I read Cassie Daves post on finding your style I’ve been on that journey trying to find mine. Lately, I’ve been wearing more of clothes I like and not what I think people like; finding comfort in my own style. Everyone seems to be loving it. Planning my departmental and faculty events, as usual, that’s no new story. Taking Health seriously and having a new approach to life. We go about our daily living taking care of the outside and forgetting the inside. I’ve lost two very young people to the most unexpected illness. In school, we just wake up to death news and it’s sad how young ones are leaving. I’ve been asking myself more questions, what am I doing with my life? Am I being the woman God made me be? Loving Jon Bellion, Mr. Eazi, and Adekunle Gold. Do I need to talk about how amazing they are?????? Final year week!!!! It’s been five (5) amazing years in University of Lagos. I went all out for my final year activities and it was amazing!! I have just two more months to go and I suddenly don’t hate school anymore. The friendships I’ve built in the past two months are the ones that will last a lifetime and it’s sad I waited this long. Exploring local markets. It’s amazing how you can spend very little and get good quality items at some of our local markets, you just need to know the ropes. 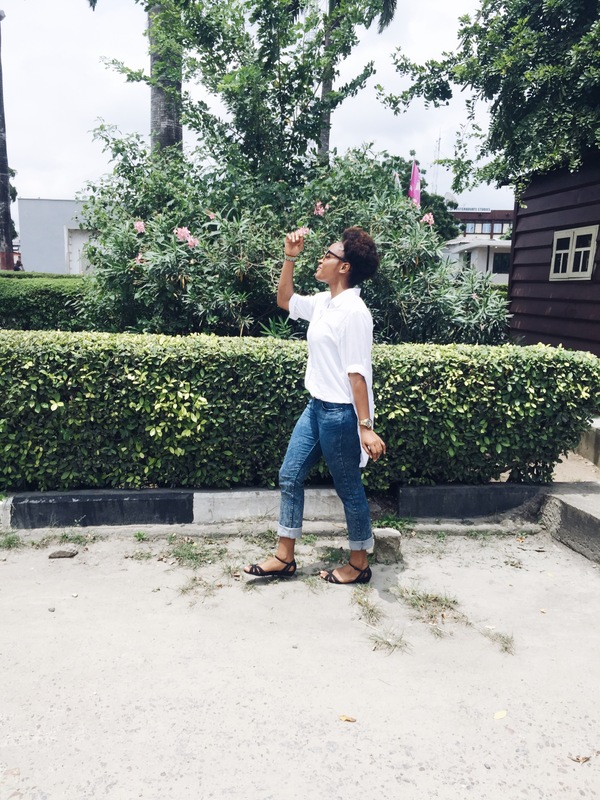 I got my denim trousers for just N500 at Yaba market and trust me, it feels as good as it looks. Learning to love more, give more and be more selfless. This is as a result of changing my approach to life. I’ve been told that I’m “self-centered” of which I am a little bit so I’m trying to change. Eating Indomie. I’m not a big fan of indomie but lately, I don’t understand the love. Sleeping all the time. I’m always tired because of the stress and responsibilities from school so sleeping is my new hobby. Thinking of what next? I’ll be done with school in two months and I just can’t stop thinking of what next. I’m scared most times when I try to figure it out and come up with nothing. The thing is my mind has been so distracted and busy to focus on anything. I’m trying, though, really trying and trusting God to help me figure everything out. You can put me In your prayers, the more the merrier. what have you been up to lately? Loving my new blog design and my baby made this happen. I’m so proud of her, you can reach her on IG @yindesigns and folllow me too @TheBlackWriter pretttttyyy pwease. Shirt – honestly can’t remember where. Yaba market!!!! I should visit and you look beautiful. The jean doesn’t look the price. It’s my first time here too. Oh yes you should. Hidden treasures. Thanks for visiting my blog ? First of all, I love your blog. It’s my first time here. Your personal style is your way of expressing yourself so keep ebrasing it. There’s no need to be too bothered about the future. That wouldn’t solve anything. Just leave each day as it comes and take chances. Oh, and congrats on almost graduating. Keep doing you! Thanks so much for visiting my blog ??. I’ll try to stop being bothered. Thank you so much. ? Every single day, I come here waiting for something new. You just left me alone to hunger for lyou. You know you did me wrong!!! I totally love your blog and I tell people to visit all the chance I get. Yaba is actually not as bad as people think. You can get nice stuff there. Wow! Comments like this keeps me going. I’m sorry I left you for so long. Thanks so much ? Finally, she has returned…… I missed your posts and I am praying for you and I know whatever you do next will turn out to be amazing ?? Yes baby! I’m back ??. Thank you very much ? First time commenting but I’ve been following your blog ever since I stumbled on your killer Beyonce’s Formation Look on Instagram sometime back ??? And I loved this post so much I had to leave a message (just as much as I love Jon Bellion too ???. Everybody says I’m obsessed). Your blog is so beautiful, keep it going! Aww thank you Imaobong. #TeamJonBellion. I tell people every time that you get the best pieces from thrift stores and at affordable prices.. And I can totally relate to loving school when you have few months to go. Cheers to the thrift life! P.s I just wish I have more time with my friends. Also not a big fan of indomie but it is so easy to make and time is of the essence so…LOL! Exactly. Indomie is a life saver. And Yaba market is Bae. Awesome awesome ?????? u have an amazing life .